Bob the Builder to the rescue in this action-packed Christmas adventure! 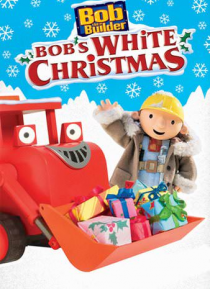 In "Bob's White Christmas," Bob and his Can-Do Crew dig their friend Farmer Pickles out from a snow-in, have snowball fights, and open their presents underneath a brilliant Christmas tree they all helped to build and decorate. Help Bob stay warm in "The Big Freeze" and "Bob of the North," as the crew proves once again that fu… n is getting it done!